Barker’s video has some live footage from the Las Vegas shows, and also a recent conversation that Barker had with his physician. 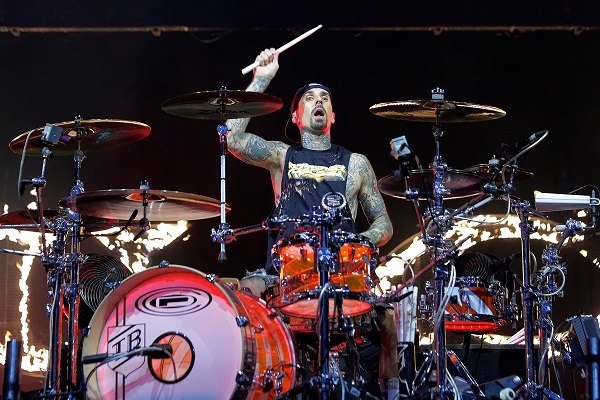 In the video, it’s apparent that Barker is getting better after taking blood thinners and antibiotics, but the doctor says that he’s not yet ready to get behind the drum kit quite yet. “I think, in general, we go week-by-week, so next week may be the week that turns around,” he adds. It’s a good time for Barker to get well. Blink-182 is off the road for a few months, and then, the guys are scheduled to appear at Chicago’s Riot Fest in September.